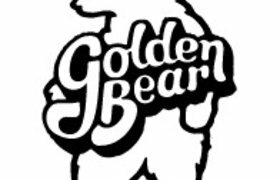 Out of a small factory on Howard Street, Golden Bear Sportswear began in 1922, crafting dockworker coats for the longshoremen who hauled cargo up and out of San Francisco Bay, their sturdy leather collars upturned against the fog and the cold. By the 1940s, we'd added bomber jackets to our line, as customers sought the rugged style of the pilots who roared high above Europe in the cockpits of the Flying Tigers, Hellcats, and Flying Fortresses. Twenty-five years down the line, you could find our fringed jackets on the backs of young adults on Haight Street and sported by icons of the counterculture—the Grateful Dead and Jefferson Airplane.